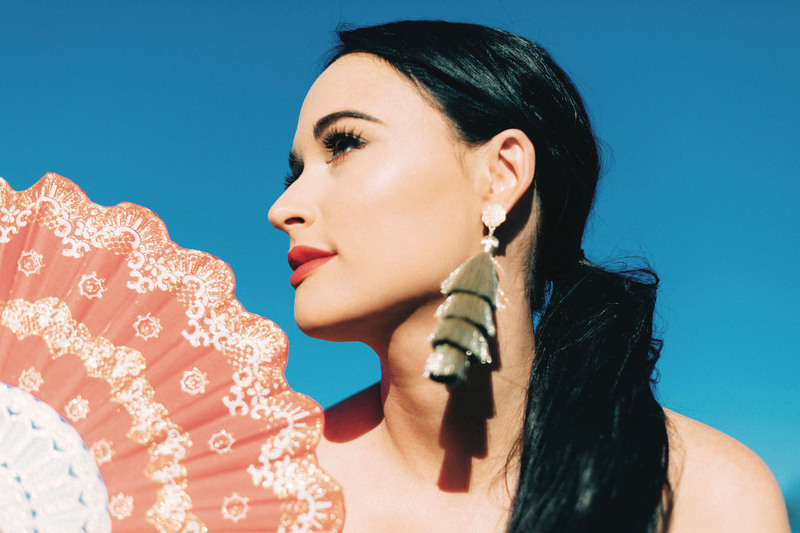 This year belongs to Kacey Musgraves. As Nashville’s music wunderkind enjoys the most exhilarating time of her career, the award-winning artist takes a step back to reflect on what’s been happening. Having just scooped two awards in the categories of Album Of The Year’ and Female Artist Of The Year at the recent Academy Of Country Music Awards, this adds to her Grammy and Country Music Association Awards. Receiving accolades is one thing, but the singer-songwriter likes to be her own boss and have creative freedom. She is aware of politics in the industry but she isn’t one for letting herself feel entrapped by it. “I just do my own thing, and I take it all with a grain of salt”, she declares. Earning the respect and recognition for the infectious quality of her songwriting, her popular take on country music combined with an honest approach to tackling tricky issues within a traditional genre, is brave and a breath of fresh air. ‘Golden Hour’ is born out of finding the love of her life, it is a certain mindset and an emphasis on “feeling rather than thinking – leading heart first”. Personal, intimate and uplifting, it is crammed full of variety, incorporating different genres. For example, the track ‘High Horse’ emerged from listening to a lot of Bee Gees in the build up to making the record, and the thought of adding a disco vibe to a country and western pop tune intrigued her. She was keen for the two worlds to come together and create a space where “spaghetti western meets disco”. 'Golden Hour' is out now.